Male Pipe thread 1/8 to 1/2 in. 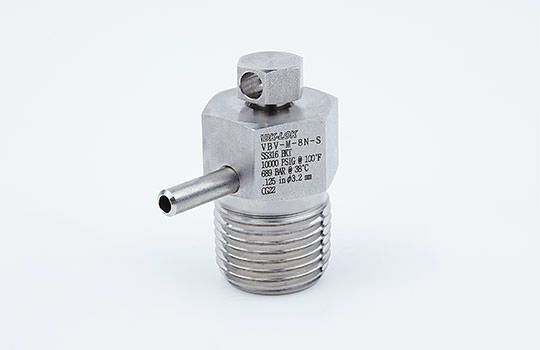 DK-Lok VBV Series Bleed Valves are designed to vent the signal line pressure to atmosphere before an instrument is removed and to assist in calibration of control devices. These are for use on instrumentation devices such as gauge root valves and multi-valve manifolds. Optional barbed vent tube enables containment of fluid vented. The VBV Series are also ideal in bleeding hydraulic systems. For bleeding, venting, and draning of system fluids. Pipe thread 1/8 to 1/2 in. 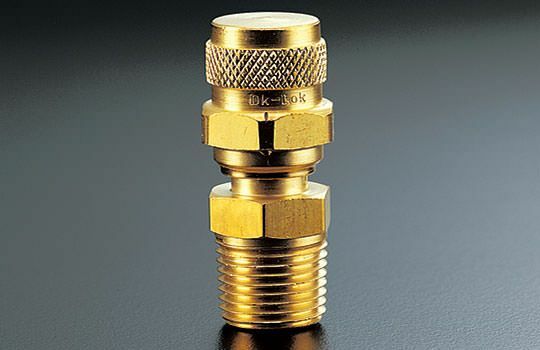 DK-Lok VPV Series Purge Valves are designed for manually bleeding, venting, or draining system fluids.The cap is clamped to the valve body for safety in use. The 0.063 inch (1.6 mm) diameter vent hole is constructed on the cap.